Designed specifically for pets, our premium CBD Pet Oil may help treat an array of conditions including inflammation, situational or separation anxiety, chronic pain, arthritis and skin disease. Hemp Extract also promotes your pet’s overall health and behavioral wellness. Our Hemp Pet Oil comes in delicious, meaty flavors so you can seamlessly add it to your pet’s daily diet. 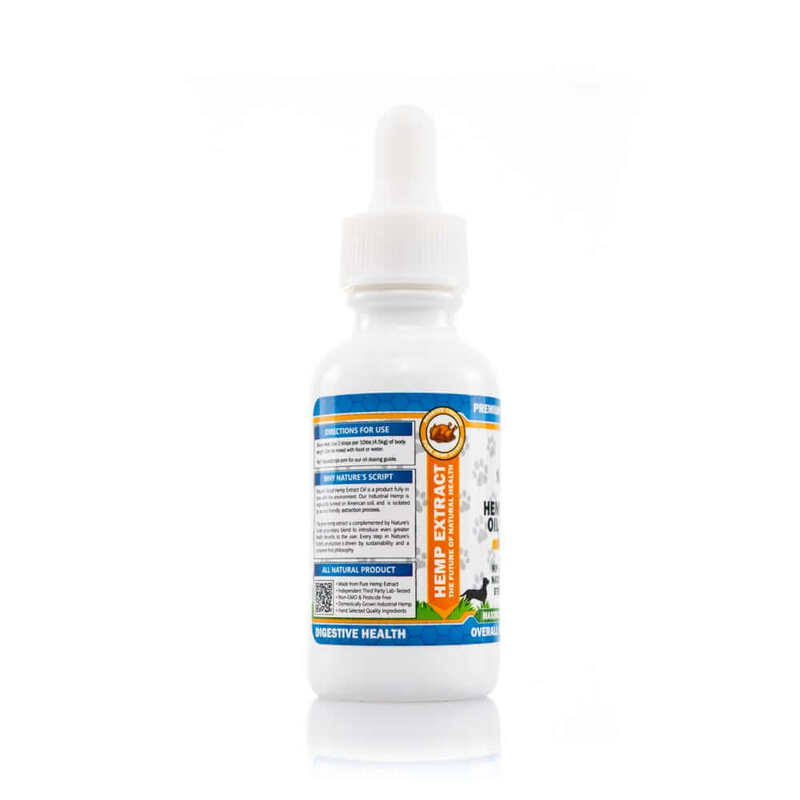 We recommend our CBD Pet Oil for small dogs and/or dogs who require a minimal dose of Hemp Extract. 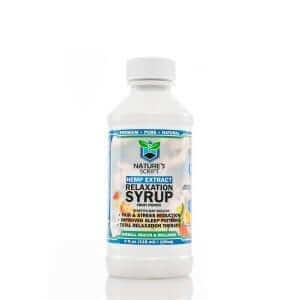 Nature’s Script pure and potent Hemp Extract is derived from non-GMO, organic-certified, superior quality Industrial Hemp. You may have heard how Hemp Extract Oil can help humans by relieving anxiety, reducing pain and regulating sleep. It may surprise you to learn that CBD Oil may also help your pets. Our Hemp Oil contains pure CBD, or Cannabidiol, a natural and prevalent compound in Hemp plants. CBD is commonly reported to help improve many areas of pet health, including bone and joint support, behavioral wellness and digestion. Our Pet CBD Oil is federally legal and not associated with overdose or severe side effects. Nature’s Script CBD Pet Oil is specially formulated with your pet’s health in mind. Our CBD Pet Oil delivers a potent dose of Hemp Extract in delicious flavors of chef’s cut beef and roasted chicken. You can give the oil in your pet’s food, on top of a tasty treat or directly in the mouth. 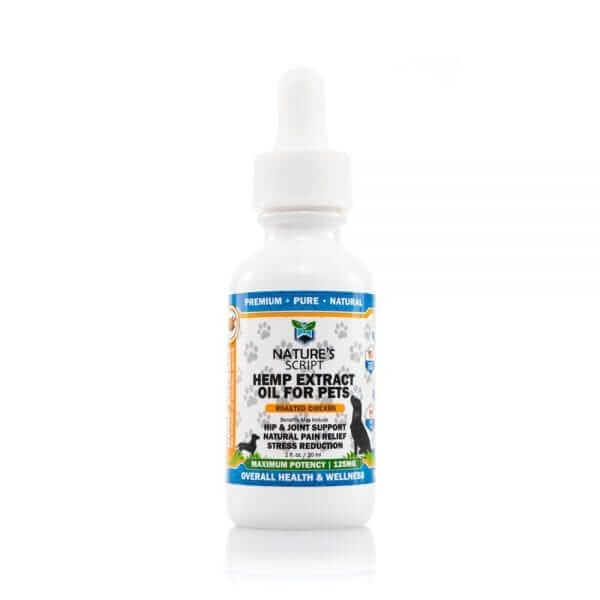 Whether you want to potentially target your pet’s specific condition or provide a daily boost of wellness benefits, our CBD Pet Oil may help transform your pet’s health. Determining your pet’s CBD Oil dose depends on many factors, including size, breed, age and reason your pet is taking CBD Oil. To select the right dose, we recommend following our Pet CBD Oil Comprehensive Dosing Guide or talking to your primary veterinarian. How are the potential benefits of Pet CBD Oil? CBD Oil may help your pet in many ways. The compounds called cannabinoids in our CBD Pet Oil work together with the naturally occurring cannabinoid receptors in your pet’s body to help regulate essential functions like pain sensation, energy levels, anxiety and more. This gives Hemp Oil wide-ranging potential to improve upon your pet’s physical and mental health. Our Pet CBD Oil is commonly used to help treat situational or separation anxiety, hyperactivity, digestive issues, chronic pain, arthritis, hip dysplasia and aggression. Not all Hemp Oils are created equal, and this is especially important to consider when choosing a Pet CBD Oil. 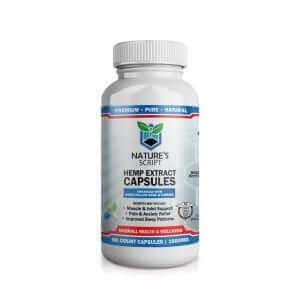 At Nature’s Script, we only source our Hemp Extract from superior quality, organic Industrial Hemp grown with sustainable methods in the United States. We also manufacture, package and ship all products in-house to maintain our strict quality standards. 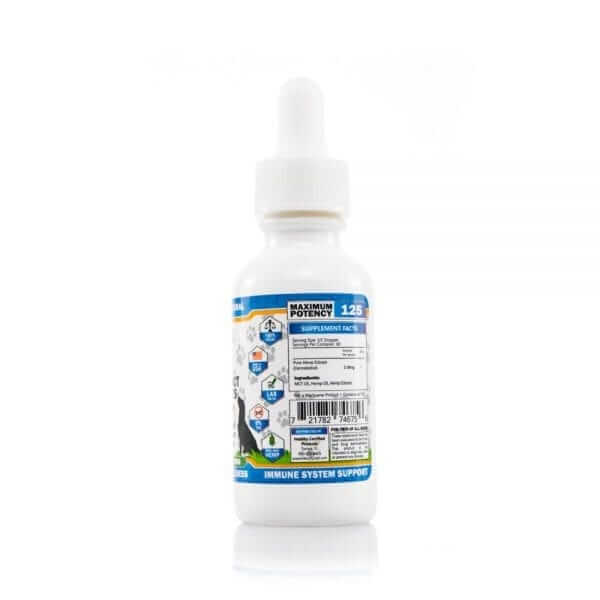 Our human-grade Pet Hemp Oil is designed with your pet’s health and safety as a top priority, and we offer some of the purest and potent pet Hemp Extract products on the market. We verify the quality and purity of our Pet CBD Oil with a third-party lab and these lab results are publicly available to you on our website. Big shout out to Olivia in customer service for helping me with my order today. It’s nice talking to knowledgable people. This is my first time trying Hemp Extract. I read about it online/ read reviews and decided it was definitely worth a try. Day 1 I could definitely tell I was less stressed. After about a week of taking gummies I was sleeping better and definitely way more calm. This is a great resource for people with anxiety. The gummies don’t taste any different from any other gummy bear and you can’t tell there is Hemp in them by tasting it. Well they really do work for my chronic pain. Plus they taste just like candy. Just wish they were a little bit stronger. Next time I will save and try the High Potency kind. I’ve read all the reviews on these and ordered them. I hope they arrive soon. My anxiety this holiday season is through the roof. Help! I’ve been telling all my friends about your gummies. I know some of them made orders already. They are very good. 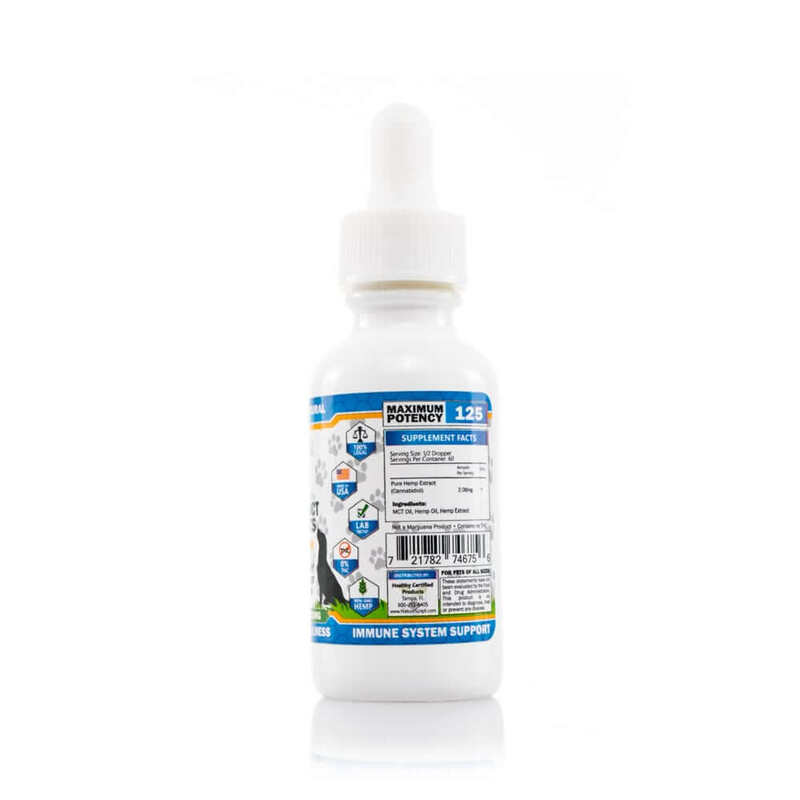 Customer service helped me pick this product for my shih tzu mix because she is small and new to hemp oil. I bought the chicken flavor to match her kibble. It’s working a lot for her separation anxiety. She doesn’t really shake or cry anymore, and she is much more mellow. I am happy to see her happy! Personally, I think these are good for anxiety and taking the edge off. East to eat and digest. Big fan of Nature’s Script products and service. Easy and pleasant people to work with. Your Pet Oil worked great! I had my dog licking it out of my hand, in fact. My dachshund loves the chicken oil. Best sleep I have ever seen her have. My doggies like it. The Chicken flavor. This is the first CBD I have ever tried on them. So far so good. Gummies took about 30 min to kick in but when they did, they worked wonderfully. I take them almost every day now! THESE ARE THE BOMB.COM!! I love these gummies, I have recommended them to all of my friends and family. Glad I bought this product for my fur baby, Dana. She has bad anxiety and scared of strangers. It has helped so much. The Roasted Chicken flavor is a hit with my dogs. I was worried when I ordered it they wouldn’t like it. But now it’s like treat time when I get the bottle out. They love it! My pet has issues with going outside due to the sound of cars driving by. Since giving her this product she has been getting so much better. Thank you so much will continue to give this to her and watching her strive. Got this for my pet to help him sleep better due to hip pain. My dog won’t take the Chicken flavor at all. I have tried mixing in with wet food and in his water. Won’t touch it. I will try the beef flavor. I want this to work. Bought the Chicken flavor. My dogs love it. I swear they make my dogs bark less. Well, the Beef flavor is a winner with my black Lab. It makes her less obnoxious when we have company over. She is still very active, but not as jumpy. More docile. Best night of sleep I’ve had in 25 years! Thanks Doc for the recommendation. My three dogs loveeee the beef flavor, it helps them stay asleep the entire time. Hi! I was told to try this by my doctor because I have a hard time sleeping. I think its because of my restless legs and arthritis that hurts so bad I just cant get to sleep. I tried the gummies. It helped some, but when I took two instead of one, I went right out! Like a light!! I slept all night and I actually felt good and rested the next day. Thank you Natures Script and Thank you Doctor J.
I am diabetic, so I didnt want to try these. My doctor gave me a sample 5 pack and showed me that there wasnt enough sugar in them to worry about. I took them home and tried them that night. I was calmed from my anxiety pretty quickly and it helped me get to sleep too. what a sweet way to take care of my anxiety! samples please?? Email me! thank you! You guys make great hemp products. Now I’m only buying from you. Keep the great products coming. I have been taking xanax for years. Doc said that he wanted me to try to cut down on them. I was so afraid! Its daunting to think that I might have a panic attack without something to help. Well, let me tell you, I started trying these gummies, just a bite at a time at first. It was a gradual thing, but I have managed to really cut down on the xanax and it was mostly painless. I am impressed. Maybe the high potency gummies would be better, but I didn’t feel less anxious or anything. They do taste good though. Love the feeling I get with these gummies. My mood is taken down a notch and I feel better after eating a couple of them. Just placed another order for the 30 count bottle. Thanks! I have restless leg syndrome. When I sit watching TV at night, My legs go crazy. They dont just jump and move, they actually hurt too. My daughter bought some of these for me and I used them, but wasnt expecting much. I really worked! I started giving this to my 1 yr old dog because he barks all the time!! It gets so annoying and I just love him so much that I hate that annoying feeling. He really likes it. He licks it right out of my palm. Picked the 5-pack from my primary doctor and have been hooked since. Will be buying online for future purchases. Doctor recommended my wife these and we decided to order online now to get a larger count. Been about two weeks since and we’ve both feel more energized because we actually get a good nights rest now. Thank you for making this wonderful product! This switched my meds, So happy I gave you guys a chance! Found you by Googling the term best hemp gummies and you came up. Based on the reviews I made a purchase for the bottle of 60 gummies. Thanks. My dog is a chihuahua so you already know how annoying they can get, I give her two full drops right before bedtime and she sleeps throughout the night. Who even knew you would need a product like this, but I definitely recommend. good product you have here. we enjoy the gummies daily. Best hemp gummies on the Internet that I’ve found. Just bought another bottle. Chicken flavor is working good for my Poodle. Had doubts about this but seeing is believing. I’ll keep buying it. My german sheppard knows I have the bottle in my hand. He thinks it’s a treat. It’s funny. Taste great, not overly sweet, help with daily challenges. Yup, ths product is for me! My pitbull loves it 🙂 finally! hey nature’s script, you guys are taking all my money with these gummies. but this po boy needs the help. Read a lot of good things about hemp oil for pets (and humans). Gonna give this a try on my cats. My dog loves the Beef flavor. He literally licks it off the dropper, if I let him. Got the pet oil at a good discount with a code I saw on Facebook. I like this company already. Did a search on Google for pet oil for dogs and clicked on your link. I was impressed by you guys having lab testes done. Seems like a quality company that really cares. I just placed my first order. Impressive shipping. My package arrived in 4 days. Thank you. Haven’t seen much difference in her demeanor or anything. Is one drop at a time enough for a 15 lb. dog? I didn’t have any problem with my dog taking in the chicken flavor. And he is more active now. I’m thinking maybe this is making the pain in his old bones better. I’m going to buy these again. I had no idea hemp could do this much for sleep. I’m a believer now. A little pricey, but effective. I will still buy more. Perfect for insomnia. And I stay asleep all night. Never tried hemp gummies before. I just placed an order for the 30 count bottle after reading about the benefits. I’m curious about all this new stuff coming out about hemp. Absolutely LOVE the gummies. I am a customer for life. They take the anxiety and stress right away. These are great! My and my hubby really enjoy them daily. Great product! Knocks me out and solid sleep for hours with vivid dreams. Great results! My back pain, anxiety and stress is reduced on the gummies. I like them a lot. 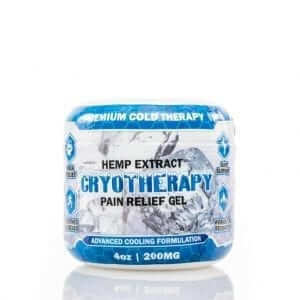 So far these hemp gummies have been reducing my chronic neck and knee pain. I hate prescription medications and these are a nice alternative. Hopefully I can stay off those meds for good. 🙂 🙂 🙂 I LOVE these hemp gummies! First time trying them and they are a winner. I think it’s a good product for anxiety and easy to eat. I came across your company while researching ways to reduce anxiety. I called in and spoke to a nice man in customer service that said these work well for my issues. He gave me a discount code that I used to make them more affordable for me. I am looking very forward to trying them as soon as they arrive. I have to say I am quite surprised how well these gummies work. I will be buying more.